I received this message in response to my post of yesterday which described a stroke counting set in my pool practice. 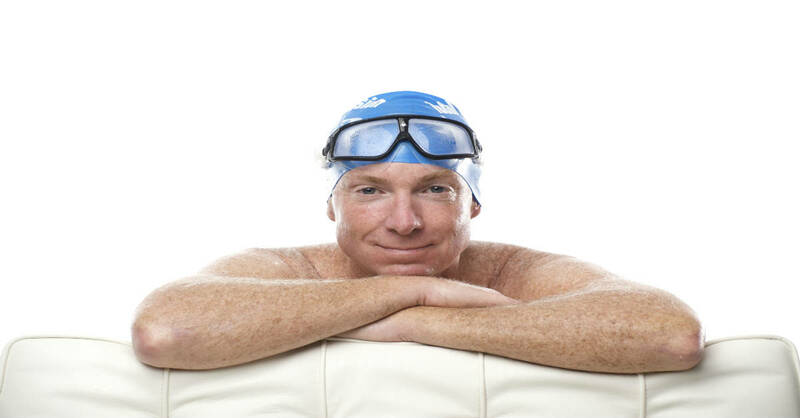 Otto Thaning, the writer, is a physician and marathon swimmer from South Africa. I am interested in your accent of SPL in your training program. I understand that to be strokes per length of the pool, and a stroke being counted on each individual arm’s cycle. I tend to count by revolutions of ONE arm. In other words: right hand entry to right hand entry. It is just easier for me to count that way as I think I would go nutty doing what I consider to be a double count. I am striving to make as low (as comfortably possible) the number of strokes per length. I average 16 to 18 strokes per 50 meter length of this pool, and I do not do tumble turns at each end. I do not think my back would tolerate that many flips in an average training session of 3 to 5000 meters as I believe many of us do have some degree of spinal stenosis. The other point is that there are not many tumble turns to do in swimming the EC. I would be interested in your comments on how you determine SPL whilst swimming in open water. I have some spinal stenosis as well, possibly arthritic in nature. One consequence is that I can no longer do back bends in yoga without getting back spasms afterward. I can still do flip turns quite well but did find my lower back quite stiff in late October when I returned to pool swimming after doing only open water for six months. It took a few hours of turning somewhat stiffly for things to loosen up. Part of the aging process I guess – even with yoga practice. My SPL is higher than yours, possibly because the need for air after a flip turn results in a somewhat shorter pushoff. I don’t think the kind of turns one does are critical to achieving a degree of specificity in pool training for a Channel swim. After all, there are no turns in a Channel crossing. However in a way I think the flip turn may more closely resemble OW swimming in one minor respect – less interruption in stroke rhythm. As for the difference in your stroke counting method all, that really matters is that you have a consistent way of measuring efficiency. I don’t try to calculate an “SPL for OW.” I know my stroke length will be considerably less in OW than in the pool. When I have had a chance to measure my Stroke Length in OW – Mirror Lake, in Lake Placid, has cables marked by buoys at 25m intervals — at maximum efficiency I’ve counted 22-23 strokes per 25m. Even allowing for the lack of pushoff, this is still about 40 SPL in a 50m pool – and that’s in water much calmer than in the Channel. I’ve also noticed that the slightest inattention causes my 25m stroke count to increase to 25 or more — I.E. 10% less efficiency than when my focus is keen. With the multiplier of great distance in the Channel, the consequences of small changes in efficiency are sobering. E.G. In a best case scenario I estimate it will take me 40,000 strokes to swim the Channel. If my attention to stroke details slackens even slightly – or if my neural program for stroke efficiency isn’t sufficiently durable – during 12 to 14 hours of swimming, that could add an extra 4000 strokes! Having to swim another 4000 strokes to the end of the swim — where I may be cold and tired – could spell the difference between success and failure. Though I won’t count in the Channel, the reason I count in the pool is noted at the top of my prior post: My foremost training goal is to maximize the formation of new pathways in the brain – neuroplasticity – and the creation of new brain cells – neurogenesis. Stroke counting is a simple mechanism for staying attentive. And striving to keep a consistent count as I swim farther forces me to think even harder, indeed strategically. Both of these mental demands have been documented in brain research as contributing to neurogenesis and neuroplasticity. Further practicing mindfulness in the pool also strengthens my “concentration muscle” for the far greater demands of Channel swimming. (A study at the University of Wisconsin showed that Buddhist monks had increased infrastructure in the area of the brain we use for concentration through regular meditation practice. It literally IS a muscle.) I already know, from the Channel relay I did last Sept, that the potential for distraction and the intrusion of self-doubt is greater in the Channel — even in a 2-hour relay leg — than in any other OW swimming I’d done in nearly 40 years. Swimming around Manhattan was a stroll in the park by comparison. Some of the circuits I build in my pool training will be responsible for unblinking focus. Some will be responsible for unvarying efficiency. I want both to be as highly developed as possible seven months from now when I set out for France. Very interesting research. Stroke counting here I come! Hi Terry, a very interesting concept…. something I have been thinking about for some time but have never had outside confirmation of. 12 years ago I took up triathlon and set about learning to swim. I had pretty average memory functions but couldn’t memorise phone numbers, details of training sessions etc. I was told to stroke count as a means of measuring efficiency in the pool. I later adapted the counting to racing so I would know exactly where I was in a race and when to sight. In Ironman Roth 1999 I swam 3800m using 2375 strokes (I count a complete arm cycle), in France 2002 I swam 5 strokes less with 2370, Switzerland 2006 and Austria 2007 I assume to be short courses with 2160 & 2150 although my stroke may have improved slightly. Needless to say my training partners think I’m slightly mad as most can’t even count the number of lengths in a long rep. Recently I have noticed an added sharpness to my memory functions. When I come to write up my session, this can be anything up to 3 days later, I can remember the exact time of starting, the accumulative loss/gain on my 60 length warm up, the splits on a typical session of 30 x 50, time of warm down, number of strokes on most of the lengths and even the splits on the clocks at either end of the pool. As an added bonus I sometimes count the number of lengths other swimmers are doing in my lane if I find I am getting bored. This also transfers across to run training and especially bike sessions which are done on a 450m velodrome and call for precise lap counting and memorising of splits. I have recently started using your TI method as I have a Channel relay to do in September and hope to improve my stroke efficiency, one thing I do know, I will know how many strokes I swim in my hour! Will this work for both men and women? Your brain is debatably the most significant organ in your entire body. Take great care of it by sticking to the fundamental principles: consume much more veggies, reduce your sugar intake and working out. Basic. That is what the most recent research presents. No require for expensive tablets.